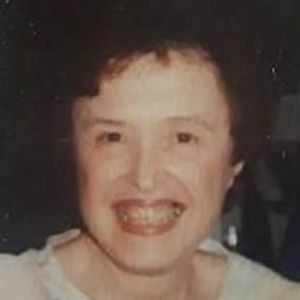 Dr. Genevieve (Gene) Heafner Moore, retired clinical psychologist of Raleigh, died on October 14, 2017. Born March 12, 1926 in Statesville, N.C., she was the daughter of the late Hugh Herbert Heafner and Grace Gaither Heafner. She was raised in Charlotte, attended Converse College and was a graduate of UNC-Chapel Hill, (B.A. ); NCSU, (M.A.) and Duke University, (Ph.D.). Devoted to her family, friends and patients, she was predeceased by her husband, Raleigh attorney Joseph C. Moore, Jr. and is survived by five children, Jody (Martha), Patrick (Kay) and Hugh (Linda) of Raleigh, Gaither Terrell (Tom) of High Point and Hannah Jordan (Jeff) of Falls Church, Va. She is also survived by eleven grandchildren: Bill Moore (Laura Anne), Caroline Moore, Lizzie Moore, Janie Hynson (Warren), Joseph Terrell, Harrison Moore, Yates Jordan, Patrick Terrell, Tirrill Moore, Genevieve Jordan and Helen Jordan and three great-grandchildren: Maddrey, Patrick and Annie Moore. She was a member of White Memorial Presbyterian Church, the Junior League of Raleigh, a board member and Past President of The Women's Center of Wake County and a board member of Hospice of Wake County (now Transitions LifeCare). A strong advocate of lifetime learning, she embarked on earning her Doctorate and beginning her practice of clinical psychology ?in the second half of her life and completed her formal education by faithfully attending an undergraduate course in Women's Studies at NCSU at the age of 88. Gene was a woman of strong opinions, which she was eager to share. She loved literature, poetry, politics (Democratic), languages and travel, particularly with her grandchildren. She taught each of them to embrace her spirit of adventure, and the skill to replace passports, airline tickets, credit cards and cameras. Burial will be private at Oakwood Cemetery, followed by a memorial service at White Memorial Presbyterian Church at 3:00 p.m. on Tuesday, October 17, 2017. Visitation will follow at the church. Suggestions for memorials are White Memorial, The Women's Center of Wake County, Transitions LifeCare, SPCA of Wake County and Emily's List.